We are all a-furry around here because the new SURE FOOT® pads have finally arrived! Just in time for winter storm Jonas! We wanted to launch the new pads at HorseWorld Expo in Timonium, MD this past weekend. They were not ready until Wednesday so to get them here in time Brad drove to Maine and picked them up. He was headed to the show on Thursday but Mother Nature had other plans in store for this past weekend! Winter Storm Jonas arrived on Friday at 11am at our home in Virginia. Having been through blizzards before, I decided not to go to the Expo so that I could prepare for Jonas. Brad arrived safely home around 2pm and the snow had already begun piling up. Fortunately we didn’t lose power or get hit as hard as the Expo show grounds in Timonium, MD. Sounds like they got at least 3 feet of the white stuff whereas we probably got about 18 – 24 inches. It’s hard to tell because the winds started up last evening and blew pretty hard causing a lot of drifting. Now the storm is over, the skies are blue and WE HAVE PADS! Lots and lots of pads! And we are still snowed in. What do you do when you have cabin fever and lots of product – a BLIZZARD of a SALE! That’s right. We are putting the new pads on sale to help us dig out around here and since we got inches of snow we are going to sell pads by the inch! The more inches you buy the deeper the discount you will get. Since we’re still buried under at least 18 inches of snow, we thought this would be a fun sale concept. The more you buy, the more you save! Each package comes with a pair of pads in the same density (approximately 4”-5” thick for two pads). You can mix and match packages of pads to come with your final discount based on the total inches purchased. 1. 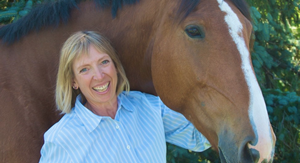 Pads have been specifically designed for and tested by me (Wendy) for use with the SURE FOOT® Equine Stability Program. 2. Better shape! All pads are now rectangular– 10 x 12 inches so they line up easier with a tap of your foot. 3. The pads are easy to handle, stack and store. 4. They are not damaged by weather and will preform in all weather conditions. 5. They are all 2-2 ¼ inches thick. 6. Pad choice is no longer weight dependent. All pads can be used with horses of any weight and size. 7. We now have 4 densities, creating 4 Challenge Levels, plus a new slant (coming soon). The 4 densities are: Impression, Firm, Medium and Soft. 8. Pad density is chosen by the amount of instability with an increasing degree of the challenge for the horse as you progress from Impression to Soft. 9. The foam we use is also in products that protect some of the world’s top athletes, but is exclusively available to SURE FOOT in this shape and size. 10. Each pad, with the exception of the Impression pad, has two working surfaces, the diffusion layer and the direct surface. The diffusion layer (stamped with the SURE FOOT® logo) diffuses the horse’s weight out the pad and slows the pad response. The direct surface gives more closely around where the hoof or shoe where it is in contact with the pad responding more quickly to your horse’s weight. 11. The diffusion layer has our proprietary DuraFlex coating, an exclusive feature for added protection. This coating is flexible yet durable, which significantly increases the life of the pad. I’ve tested it for 6 months with no damage to the coating! 12. The pads are made with environmentally friendly materials, glues, and coatings. 13. Pads are now warranted against breakage (not tears, dents, cuts, or horse bites, which are considered normal wear) and delamination of both the pad and the DuraFlex coating. 14. The DuraFlex coating is easy to clean with soap and water. 15. The Impression pad is easily cleaned with Bon Ami scouring powder. 16. You know it is a genuine SURE FOOT pad because it carries the SURE FOOT logo. 17. Our US manufacturing partner in Maine has helped to design and engineer these new pads and continues to assist us with future product development. The pads have an increasing degree of difficulty based on the amount of instability the varying densities you offer to your horse. Therefore the density you choose is no longer based on weight but on difficulty level. Firm is the most stable followed by Medium and Soft. 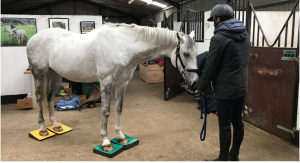 The Impression Pad may be used with all horses but is especially useful to visually and tactically feel how your horse is standing and weight bearing on his hoofs/shoes. You can use the Impression pad independently of the progressive system to check and/or show your vet or farrier how your horse is standing in addition to using it progressively in the SURE FOOT Program. We are introducing a truly unique pad as part of the SURE FOOT Program and it has already become my favorite! The Impression Pad is firmest of all the SURE FOOT pads. When you first step on it feels solid and hard but as you stand there it gradually gives under your weight. Of course your horse weighs much more than you do so it will give more quickly, but still slowly compared to any other pad we offer. The beauty of this pad is two-fold. First, the impression of the horse’s hoof remains for quite some time, so after your horse steps off, you can see how he is loading his hoof. This is a unique perspective and will show you whether his is loading equally around the entire wall or more toward one area. Secondly, these pads are great for horses that are insecure, pull back or are otherwise anxious about a pad with greater instability. The pad starts out like a solid surface, gradually giving way the longer the horse stands there. After a minute or two walk your horse off and pick up the pad. You can look at and feel the indentations made by your horse. You can see and feel where the he is bearing his weight on his foot. This gives you insights into how he is habitually moving and may explain why his posture is they way it is. When the hoof lands on good footing it sinks into the top layer. 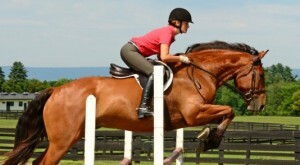 You can’t see how your horse is loading his foot because you can’t see how the foot is meeting the solid ground. On a solid surface such as concrete the hoof capsule will move and give under the load. In other words the shoe or hoof hits the hard surface and stops but all the internal structures of the foot may be stretched or shifting to accommodate the hoof stopping abruptly. Again you can’t see how your horse is weight bearing on his hoof. If you had a pressure plate you might be able to see the way the hoof lands and the impact of landing on a particular area, but again this is a hard surface so there is going to be some stretching of the internal structures. The impression pad gradually gives way to the horse’s weight and the greater the pressure the more it will give until the entire load bearing area is in contact with the pad. Greater pressure will be revealed by deeper impression while areas of little or no weight bearing will not make an impression at all. This will give you a clue into your horse’s habitual posture because if he is always toe loading he is not getting the right input into his nervous system through the internal structures of the hoof in the rear of the foot. Afterward you can see this and show your farrier so that he will understand how your horse’s weight bearing posture and assist accordingly in the rehabilitation of your horse. However bringing better weight distribution through the use of SURE FOOT can also improve your horse’s posture and weight bearing while retraining his habitual patterns. Cleaning the Impression pad is quite easy. Use soap and water on the DuraFlex coated side. If using the uncoated side, you can restore the pad surface using Bon Ami all-purpose cleaner. The impression pad will return to its original shape in 15 – 20 minutes. Caution – this pad will become very hard in the cold; unlike the other pads this pad definitely reacts to cold by getting solid and unyielding. Therefore it is recommended that you keep this pad in a warm area before use (above freezing). Cold will not damage the pad; simply change its response properties. The Firm pad is the “workhorse” of the SURE FOOT Program. This pad will give immediately upon being loaded with no rebound effect. While it may become marked with hoof prints over time it will hold to heavy use. It has two surfaces, diffuse and direct. Unlike the other medium and soft pad the firm will remain fairly stable withstands any weight or size horse. The medium pad is more unstable than the firm pad. It has a bit of rebound to it so that as the horse’s weight shifts, it will give more readily creating a more dynamic response to the horse’s weight. The soft pad has quite a bit of give and will demand more adjustment by the horse as he shifts his weight. This would be the most challenging pad due to the increased amount of instability. Now, let’s talk colors! For now, each of these pads is the same color (neutral) with a yellow DuraFlex coating. In a few months, each level will be a different color. However, the varying colors take a several months to produce, and we were SO VERY EXCITED to get these in your hands that we wanted to make them available as soon as possible! Here’s your chance to be the first person at your barn with the exclusive, Limited Edition SURE FOOT pads!